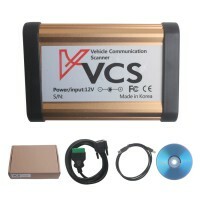 UCANDAS VDM WIFI Diagnostic Tool is a wireless automotive diagnosis system. 3. Can data stream, reading and clearing of diagnostic trouble codes, component activation and immobilizer key coding, etc. 1. It is with Wifi, the distance is 50M. 2. It supports Online Update Free Forever,you can go to " http://www.ucandas.com/ " to update your device. 3. Support Australian ford and Holden. 7. Cannot work with IPHONE cellphone. 9. Add one more red connector for HONDA car,NO software in the CD, need download from vdm website. 1. Please Don't Use VDM UCANDAS on Windows XP SP2 System, Or Wifi Function Can't Work. 2. Very Few type of car can do key programming function,such as HONDA, and there is no supported car coverage list for this function. 1. Add wave graph option for data list. 2. Add record and replay option for data list. 3. Optimized UI text under Chinese-traditional. 3. Optimized SETTING operation under Fixed-window. The state-of-art UCANDAS is delicately engineered and built by P&T Electronic Technology Co., a scan tool R&D company based in China. Established in 2009, P&T is now recognized by the automotive aftermarket industry as one of the fastest growing scan tool companies providing the most extensive and best price-performance ratio OEM-level diagnostic products and first-class customer support in the world. 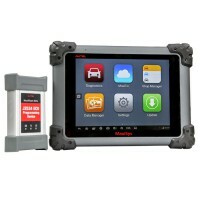 The UCANDAS Diagnostic System is ingeniously designed to recreate the functionality of the OEM tools used by automotive manufacturers’ dealers, empowering independent garage shops to provide complete servicing in their own shops, including data stream, reading and clearing of diagnostic trouble codes, component activation and immobilizer key coding, etc. Quick Test, Read ECU Info, Read DTCs, Erase DTCs, Clear learning value, Data Stream, Actuations, Read freeze frame data, Read/Write VIN, Basic Reset, Control unit adaptations, Throttle adaptations, Air bleeding, Level calibration, Theft alarm Reset, Key programming, Oil change, Idle speed learning, Idle speed Adjustment, Ignition timing adjustment, Camshaft timing control learning, Maintenance functions, ECU Initial startup, ECU initialization. *Supporting ISO 9141-2, K/L line, SAE-J1850 VPW, SAE-J1850 PWM, CAN ISO 11898, ISO15765-4 protocols. *High-speed, medium speed and low speed CAN-BUS, Single CAN-BUS diagnosis protocols is supported. 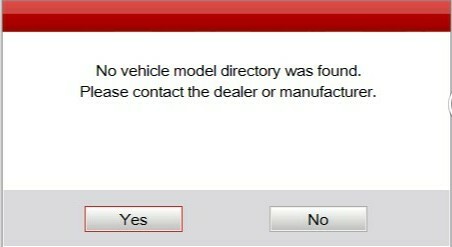 *Can check out the year and model of the vehicles automatically and quickly. *All inclusive software coverage - European, American, Asian and Australian prevalent vehicles. 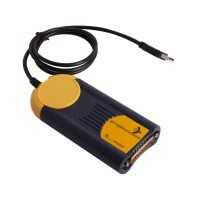 *OBDII diagnostic connector has a wide compatibility, which don’t need to replace other connector, during the testing. *Hardware architecture uses new design with multiple protection, interference and stability. Built-in overvoltage protection module is applied, in order to protect scanner and vehicle against accidental damage during checking. *Can work stably in high and low temperature environment, and work well. Seat, Skoda, Smart, Vauxhall, Volvo, VW. column module, EPS-Electrical power steering, PTS-Parktronic system, EPB-Electric parking brake, COMAND/AUDIO, CD/DVD, TV tuner, CTEL-Cellular telephone, DCM-Door control module, ESA driver-Electric seat adjustment driver,ESA passenger-Electric seat adjustment passenger, AAC-Air conditioning, WSS-Weight sensor system, SVMCM-Special vehicle multifunction control module. You can get more information about UCANDAS,pls check HERE. Q:What is your dealer code? Q: VDM UCANDAS can work on both cars and trucks as Multi-cardiag M8 CDP? Q: Does UCANDAS VDM can do Australia Ford and Holden? Q: Do I need to register or activate it before I can use it? Q: May I use the VDM on my PAD? Q: I need German language, while the software we get is English, could you send me correct software? A: Please send your VDM serial number to us, we will let factory open the authorization, that you can download the German software on the VDM official website. Q:Can I have two language in same time in one VDM? A: Yes,sir,you can.tell us your serial number,we will add one for you. Q: VDM UCANDAS need to be activated? registered? Does it need to download the software? A: No need to activate, register, we will send software to clients, if there is software on their website, the clients also can download it! Q: Does one VDM UCANDAS support two languages ( English and Russian)? A: Yes, it support, send us the serial number, we will add the language, then upgrade. Q: VDM upgrade failed, what's wrong? 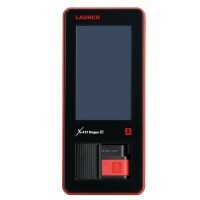 A: Watch video to upgrade it, register first, read the device serial number, then click upgrade. Q: Does the VDM support Honda acura srs abs? A: You can try it. Q: Does the VDM support Chery Chinese? A: The car model list has this car, try it. Q: Does the VDM support BMW E46 2004? what's the difference about vdm, multi-diag, vcs? which one is best? A: VDM can do it, and vdm is more stable. A: Check your network is fine, and register well, do it as our video show. Q:Why I get this error? Channel 026: In accordance with the maintenance manual, if the disordered key is used for unlocking, the vehicle unlocking alarm will be activated 15 seconds in delay.